Acting Mayor Stetson called the Mayor and Council meeting to order at 7:30 p.m. In attendance were Councilmembers David Foster and Linda C. Kuiper, W. S. Ingersoll (Town Manager), Jennifer Mulligan (Town Clerk) and guests. Acting Mayor Stetson asked that everyone stand and join in for the Pledge of Allegiance. Acting Mayor Stetson asked if there were any additions or corrections to the minutes of the Mayor and Council Meeting of June 2, 2018. Mr. Foster moved to approve the minutes of the Mayor and Council meeting of July 2, 2018, was seconded by Ms. Kuiper and carried unanimously. Acting Mayor Stetson stated that total operating cash on hand for unrestricted use is $439,760.64. A total of $61,851.92 in bills has been paid for construction work at the Marina which the Town was waiting to be reimbursed through grants, bringing the total to $501,612.56. Private Donations received for the Marina project were $764,231.97with a balance of $333,608.57 which will be used for one to one matches as the Marina project progresses. Acting Mayor Stetson asked for a motion to pay bills. Mr. Foster moved to approve payment of the bills as submitted, was seconded by Ms. Kuiper and carried unanimously. Chief Baker gave the police report for June 2018. Chief Baker stated that a computer hack occurred over the 4th of July holiday and the system is up and running again. Chief Baker stated that there was an issue with an engine on one of the cars and said that he wanted to bring it to the Council’s attention because he thought that there may be an increase in maintenance costs as cars are not replaced as frequently. Chief Baker stated that it was reported inaccurately about step increases for police officers. He said that Officer Pavon received a promotion and is now Patrolman First Class. Acting Mayor Stetson called forward Colin Stead and presented a Proclamation and key to the city as the Delaware Ducks Ice Hockey team that he plays for won the national championship this year. Mr. Stead is a rising senior at Kent County High School. Mr. Ingersoll stated that the Heron Point TEFRA Bond Hearing will be held on Monday, August 6, 2018 at 7:00 p.m.
Ms. Kuiper stated that the Farmers Market Manager, Mr. Owen McCoy, passed away on July 5th. Services will be Saturday, August 4th at 2:00 p.m. at St. Paul’s Church. Ms. Kuiper stated that she asked Mr. Ingersoll if the Town could commemorate Owen’s years of service to the Farmers Market with a plaque in the Fountain Park. Mr. Ingersoll stated that he thought a plaque centered where the Farmers Market is held would be the most appropriate thing to honor Mr. McCoy. The Council agreed. Mr. Ingersoll stated that he was working to meet the BUILD Grant deadline of Thursday, July 19th for road repaving. He said that the Town will be requesting $4.5 million and has received help from Chesapeake Charities in writing the grant. Acting Mayor Stetson asked if there was any update on the Marina project. Mr. Ingersoll stated that the Council should go and visit the site, including touring the Marina Interpretive Center. He said that docks have been installed and the bulkhead was being finished in Front of the Fish Whistle. Mr. Ingersoll stated that the large metal building has been advertised for sale and the Town was waiting on bids for it. Acting Mayor Stetson asked for ward reports. Mr. Foster stated that he discussed Chestertown sending in a 2019 MML Legislative Request asking that the MML take up the issue of a tax differential. The Council agreed to endorse it. 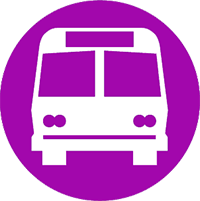 Mr. Foster stated that he spoke with Delegate Jay Jacobs who said that if MML supports the request, he will support it as well. Mr. Foster stated that the Maryland counties were divided into “shall” and “may” categories when it came to giving a tax differential to their municipalities. He said that Mr. Jim Peck of Maryland Municipal League advised him that in 1982 there was a proposal that all Counties are mandated to provide a tax differential. It passed 104 – 10 in the House of Delegates, but it was turned down by the Senate and went from “shall” to “may” for many counties in the State of Maryland. Mr. Ingersoll stated that he read the document this afternoon and thought it had everything included that needed to be said. Mr. Ingersoll stated that if the Council agreed, they should make a motion for the Mayor to sign the request. Mr. Foster moved to authorize the Mayor to sign the request to MML to propose legislation requiring the provision of a tax differential for municipalities, was seconded by Ms. Kuiper and carried unanimously. Ms. Kuiper stated that the 5th Annual Legacy Day would be held on Friday, August 17th and Saturday, August 18th. Ms. Kuiper stated that she picked up a map from Old Town Alexandria for Ms. MacIntosh to review, noting that she might want to include some of the details on the next map. Ms. MacIntosh stated that Main Street and the DCA go together on their mapping which was reevaluated each year. Acting Mayor Stetson stated that the Townies Bocce Team came in 2nd place out of 35 teams. He said that he was happy with the team’s performance this year. 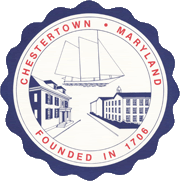 Acting Mayor Stetson stated that the Friends of the Chestertown Dog Park donated $1,000.00 to the Town for the maintenance of the Town. He said that the dog exercise equipment was going to be added to the Dog Park this year. Mr. Jay Yerkes of Yerkes Construction offered to build the equipment at no cost and the Friends of the Dog Park will pay for the materials. Mr. Stetson stated that a park goer who happened to work in horticulture voluntarily paid for and mulched all the tree beds in the Dog Park. He said that it was much appreciated. The Friends of the Dog Park installed pavers at the entrance to the park because it was flooding and after complaints that they were tripping hazards, Street Crew Superintendent Tom Sappington brought in stone and built it up around the sides of the pavers to make it level. There being no further business and no questions or comments from the audience, Ms. Kuiper moved to adjourn the meeting at 8:00 p.m., was seconded by Mr. Foster and carried unanimously.